I was trying to overcome a dry spell in my writing career when I began researching websites for writing exercises. I was determined to try something new to freshen up my lifelong hobby. Eventually I came across Six-Word Memoirs in my sophomore year of high school and was instantly hooked. There was a certain thrill that came with condensing my chaotic life into six words. For weeks I counted my thoughts on my fingers, always excited when I landed on the sixth and final word. Stories became much more meaningful when they fit inside six words—they were short enough to recite in one breath, but deep enough to ponder long afterward. 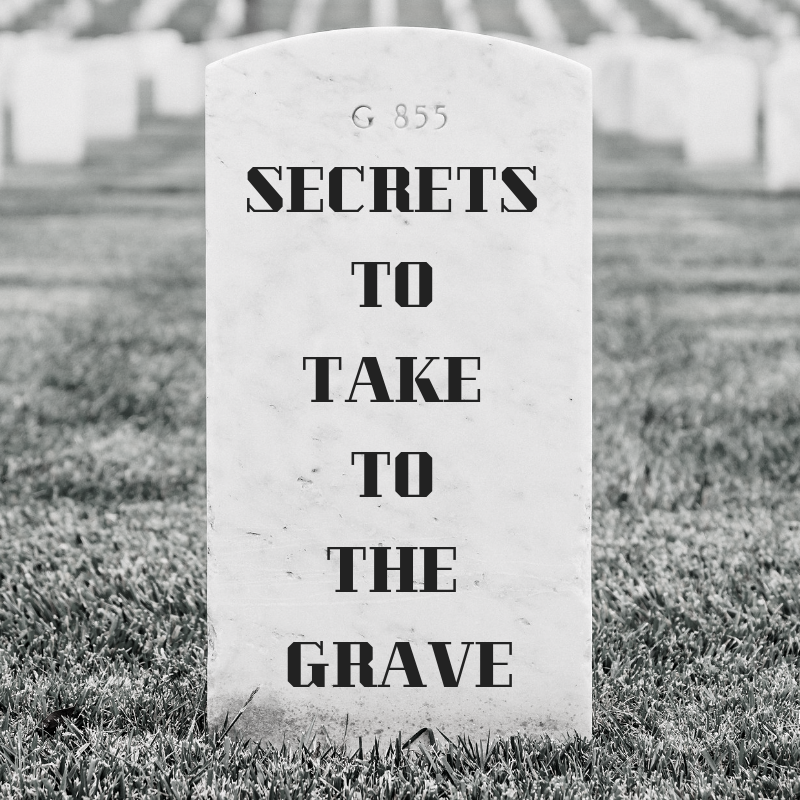 While I like readers to develop their own perspective about what I write, lately I’ve been adding backstories to provide more depth to my memoirs. Sometimes I include original poetry in my backstories, too. I always make sure to comment on memoirs that have especially moved me; it’s important to tell people that you appreciate what they’ve shared. 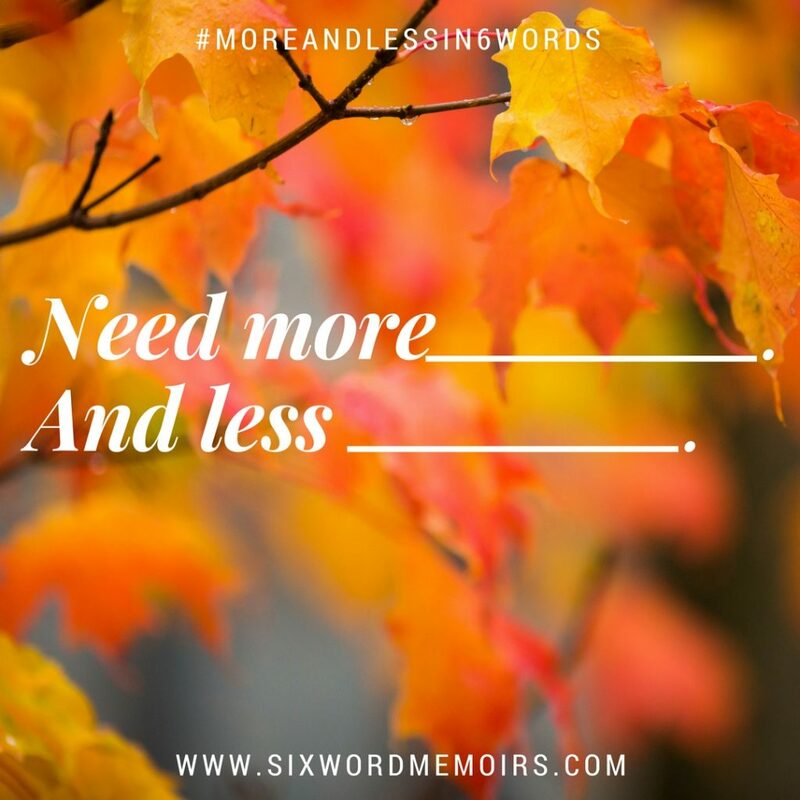 Six-Word Memoirs has transformed the way I write and the way I connect with other writers. I never write alone. I’m surrounded by people who share my victories and empathize with my defeats. I’ve been writing ever since I could hold a pencil. When I was around seven I’d write stories that featured my friends and me off on some magical adventure (complete with pathetic illustrations—thank goodness I stuck with writing). I was probably ten when I started writing poetry. I found this empty green notebook laying around and decided I’d try my hand at writing poems. In middle school I began writing—here it comes, the f-word—fanfiction based on celebrities and video games. Er, not exactly those two things together, although I’m sure that exists somewhere. Somehow my geeky twelve-year-old self gained quite a following on FanFiction.net. Posting my work online so others could read it and provide feedback was huge for me. At that point I’d been writing for a while, but it was the first time I felt truly competent at my hobby. I think at some point every writer has a “Whoa, I guess this means I’m good at this” moment, and FanFiction.Net did that for me. I also wrote original stories on its sister site, FictionPress.com. While I don’t post stories regularly online anymore, those websites gave me the confidence rush I needed to propel my writing career. Of course, getting published in The Best Advice in Six Words was another turning point (“Write as an artist would paint”). It was incredible to declare that I was published at seventeen years old—that the words I’d typed on my smartphone screen were now staring back at me from a book in print. It’s all because of Six-Word Memoirs. I was blown away when I saw that the Chewelah Arts Guild, all the way out in Washington, quoted my published memoir on its Facebook page. To know that a dweeb like myself reached somebody over 2,600 miles away is, well, crazy. This is what I’d always worked for—to see my name in print, in a hardcover book—and it’s only the beginning. As for the next step: I was recently accepted into Fordham’s selective Creative Writing Concentration. I’m looking forward to the new turning points this next journey is sure to bring. This one’s tough. Sometimes the kind comments I receive make me love a memoir I felt otherwise neutral about, or bring a new perspective I hadn’t considered. In any case, one of my favorite memoirs is “Tagged along on their adventures, breathless.” I wrote this after finishing the Six of Crows duology by Leigh Bardugo. I keep this memoir in mind when I write because I don’t want my readers looking in through a window when they read my stories—I want them there, actually there with my characters, crawling and crying and cheering and running to catch up with them, the whole way through. 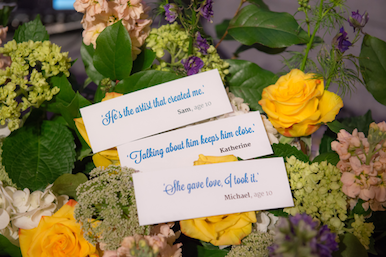 What authors inspire you or do you admire, including writers on Six-Word Memoirs? I credit Markus Zusak with being the first author to inspire me to not just write, but tell a story. Leigh Bardugo and Sarah J. Maas are also on top, as well as Sylvia Plath and Pablo Neruda. I’m not sure if he counts, but singer/songwriter Billy Joel also makes my list—the way he weaves stories into his music is effortless and captivating. The Six Words community has some of the warmest and most supportive members I’ve ever met. ksan and I are kindred spirits moved by the elegance of Japanese tradition. I always look forward to torturedbutterfly’s poignant contributions. BanjoDan’s memoirs are the perfect blend of humor and compassion. ShellDeFelice, raisedbywolves, canadafreeze, and Silken were some of the first members to welcome me to the community and continue to leave lovely comments. Neesha101 and jl333 always make me smile.” I’d be here till tomorrow if I listed everyone on here that moved me, so remember that I cherish all of you. I love video games! I’m always playing something. I’m also a mixed martial artist, although because of college I’m currently only training in the summer. You can find me at Barnes and Noble, crouching in the Young Adult section, analyzing three or four copies of the same book to determine which one is in the best condition. I also frequently prowl the streets of Manhattan in search of the best dessert places. In my downtime (which lasts about 40 seconds), I like to research health conditions and treatments around the world. I’m also obsessed with world travel—I’m usually mapping adventures around Japan and Europe (literally anywhere, let’s go), planning trips that I swear one day I’ll be able to afford. I love learning languages despite the time crunch that is my life, and I aim to attain fluency in several foreign tongues. 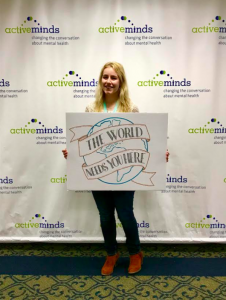 I’m also on the executive board of our school’s chapter of Active Minds, an organization dedicated to eliminating the stigma surrounding mental illness. I’m a huge advocate of suicide prevention and mental health awareness. “short enough to recite in one breath, but deep enough to ponder long afterward.” – I love that! Omg, huge congratulations, EveningCicada!!! I love reading your sixes, and I’m touched that you mention me in your interview. I loved reading it, by the way. I’m super proud. 🙂 Keep writing and succeeding. Brielle, you’re as beautiful as your screen name here. Congratulations on this February honor. Well deserved. You wrote a six a while back…. something like “Hardest thing, getting over a ghost”. One of my all time favorites that I think about often. So true. Enjoy the spotlight and good luck in all future endeavors! Thanks for sharing that memoir. That one will stick always. Wow, what a beautiful name! Clearly you’re a busy young woman…but I see you like dessert about as much as I do. No wonder we can connect so easily! Best wishes to you and your future travels! Congrats on the feature. Oh, and I really like the photo of you holding the sign that reads, “The world needs you here”. Woot! So happy to see you featured, Brielle. Congratulations on being February’s MOTM, a well deserved honour. I fully expect to hear great things about you as you make your way through life’s journey. Ah finally !! We can write now. Beautiful sixes, beautiful poems, beautiful young lady. Dear Brielle, you are a remarkable young lady and I enjoyed learning more about your interests and goals in life, Plath, Neruda and Joel are three of my favorites also! It is an honor to meet you, Brielle. You humble me with your accomplishments. Congratulations on this much-deserved honor. You are quite wonderful! Lovely interview, Brielle! So happy to get to know you better. Keep being you… congratulations Brielle. For some strange reason, I thought you were older. I love your sixes and enjoyed learning more about you. Congrats on the MOTM! Like maryjane 31, I also thought you were older! I always enjoy your Sixes and have loved your profile name forever! Big congratulations on being February’s MOTM! Oh, and “Write as an artist would paint” was my very most favorite Six in the Advice book!! That was you!!!! Yay!!!!!!!! 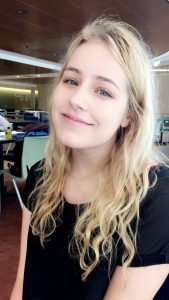 Congratulations, Brielle, on being this month’s MOTM! You are an inspiration to us all. Your Sixes showcase your mature outlook and talent. Thank you. Young beauty, sixy writer, soulful visionary. I never would have believed your youth. You are one of the “people in my neighborhood” at Smithmag (Google that under Mr. Rogers, ha). Your memoirs are way beyond your years. Glad to know more than six words about you. Beautiful, brilliant and creative…girl, you are a triple threat! I’ll join in with the awe and surprise at your short years on the planet…The depth of your writing definitly speaks,”Old Soul.” Happy to meet you Miss Brielle!! Oh yes, you are going places, girl! Congratulations, Brielle! I can only echo the words of others: your name is beautiful, your profile name is also beautiful, I thought you were older, I have loved so many of the Sixes you have written, and I, too, love Plath & Joel, and now I must check out Neruda! Kudos to you for winning a well-deserved honor. Brielle Intorcia/Evening Cicada are both such beautiful, lyrical names and they perfectly suit your beautiful face and soul. Congratulations on being this month’s featured writer and I wish you every success with your writing and future. May I also congratulate you on your involvement with Active Minds- understanding mental illness and preventing suicide are such vitally important causes. Finally, hope you plan a trip to Australia! Never stop writing. We appreciate it. Congratulations. I would never have guessed your young age because your words ring with a maturity and wisdom that belies time. So happy to get to know you better. Lovely, ambitious, and seriously talented. Congratulations! Brielle, please accept my very late congrats on your February MOTM! I’m getting caught up. I’m so glad for you, and it’s such a delight to know you better.